Do you think you have the “Worst Commute” in SoCal? During this year’s Big Game, we crowned Jamie, a Whittier native who drives nearly four hours a day in traffic, as the person with the Worst Commute in SoCal. Why does she do this commute? Jamie landed her dream job located in Santa Monica, but her family in Whittier comes first. She decided to do this long commute in an effort to live at home to help support her family. We joined Jamie on her long, traffic-filled drive from Whittier to Santa Monica and surprised her with a brand new Honda Clarity Plug-in Hybrid car to help make her commute a little more bearable. Following this spot, we heard from our social followers that others had horrible commutes in SoCal. Who would’ve thunk? So we put together a page to hear people’s stories and see how we might be able to help others with their bad commutes in Southern California. We received tons of submissions and found Kimberly and Jesse, a couple who lives in Fontana. Kimberly leaves her house at 4:30am to drive her husband to work in Cerritos. She then returns home to Cerritos to take her son to school and then in the afternoon goes back to Cerritos to pick up Jesse. That’s a lot of time in the car! They share a 20-year-old car so we surprised the couple with a new CR-V.
For others who maybe didn’t have the worst commute in SoCal but spent tons of money at the gas station, we sent them gas gift cards. We also heard from people who spent so much time in the car they didn’t have time to cook for their family, so we helped them with a meal kit to help them get everything ready for a dinner at home. So what’s next? Look out for us at the pumps in April, as we surprise all Hybrid drivers with free gas for 10 days in a row leading up to Earth Day. 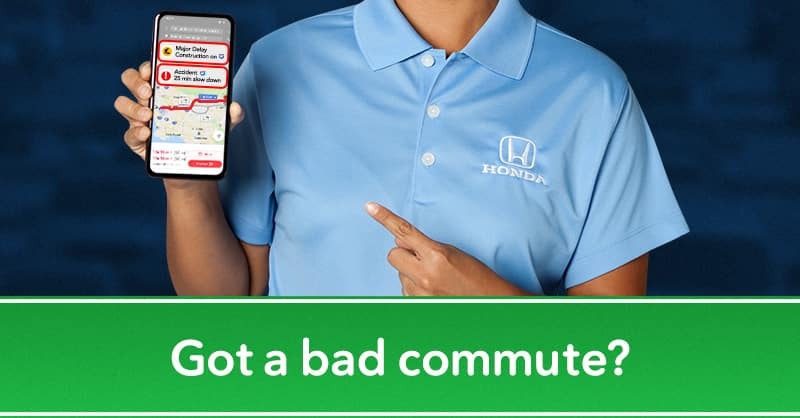 To learn more about how we’re helping in the community or to request a Random Act of Helpfulness, “Like” us on Facebook at https://www.facebook.com/SoCalHondaDealers/, follow us on Twitter @HelpfulHonda and on Instagram at @socalhondadealers.